I had the occasion to visit my hometown of Clarksville, TN for my 30th High School Reunion (Northwest High School Vikings 1980). While there for the weekend I visited a few antique stores and the local flea market. At the flea market I found this over-sized Heller rasp which appears to be unused. 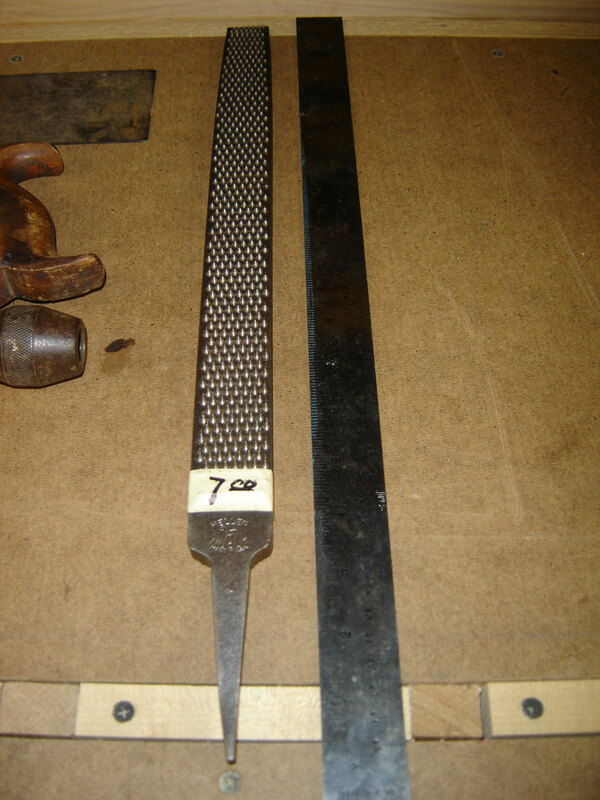 Most files and rasps now on the market are now made out of the US - you'll need to either find some old-store stock (I occasionally still see some Nicholsons on hardware store shelves) or spend the money on an Auriou (look at Tools for Working Wood as a source for these - excellent but a bit pricey). I was quite excited at finding this unused Heller - at $7 it was quite the bargain. When I paid for it the guy asked if I had horses - seems these flat rasps are used to shape down the hoof or some such. 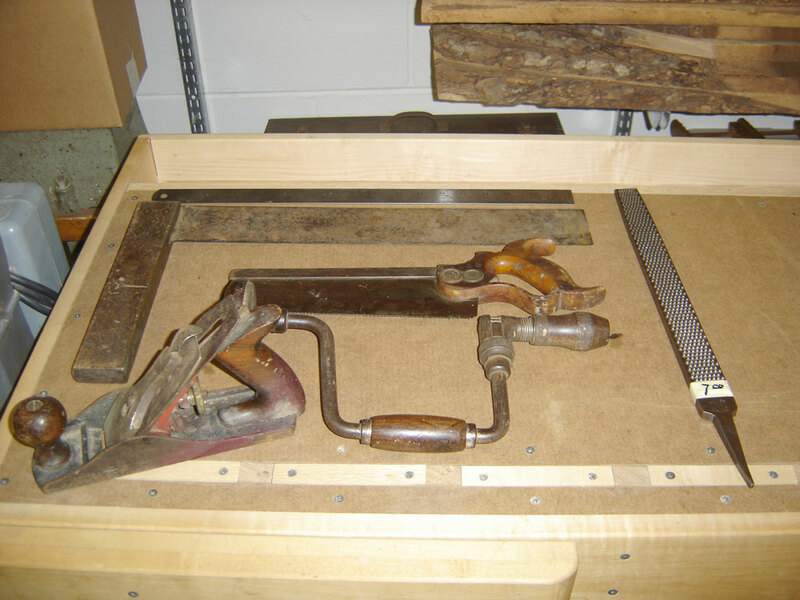 I next found this really huge and awesome rosewood-handled Try Square - it's the largest I've ever found "in the wild" and only needs a light cleaning (the images make it look worse than it really is). I then found the rest at a local antique store, at very good prices. 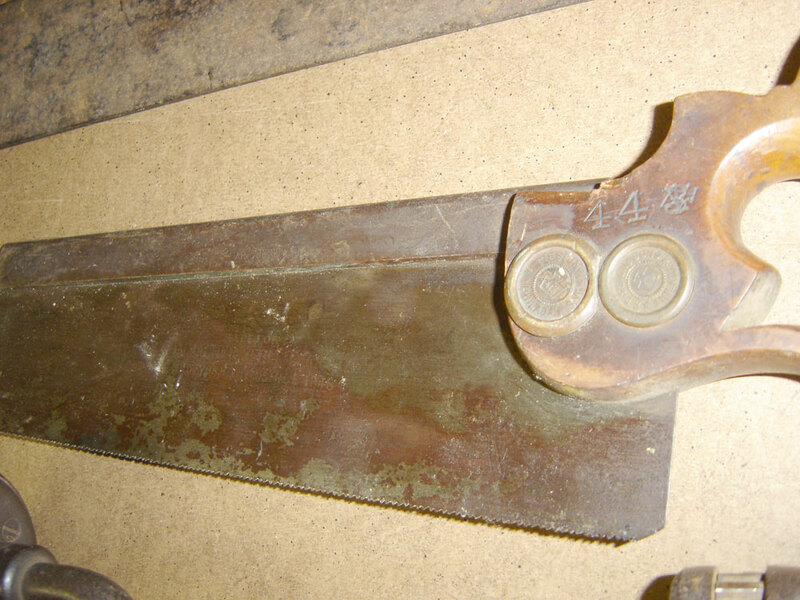 The Disston backsaw has two medallions but otherwise is in good shape with sharp teeth. 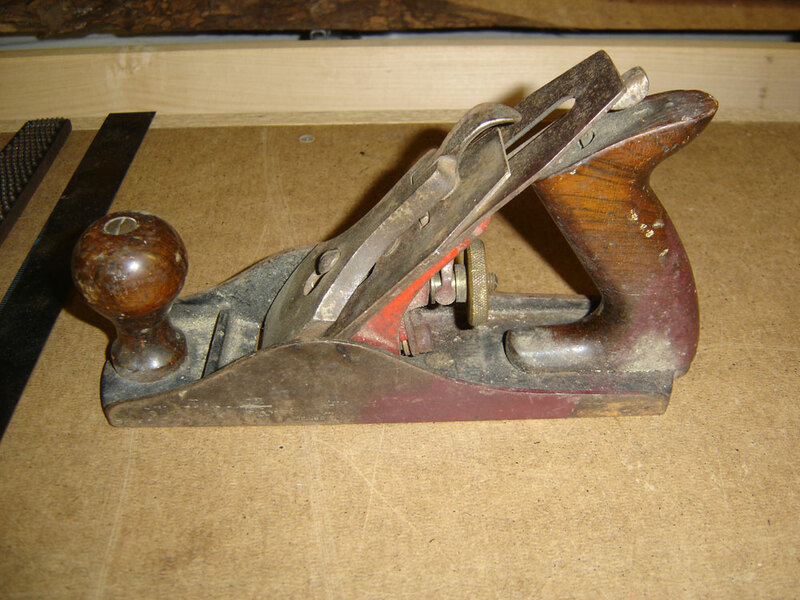 The Millers Falls plan is the equivalent of a Stanley #4 with rosewood tote/knob and red painted frog. Finally the brace is a Stanley 10" also with rosewood handles. 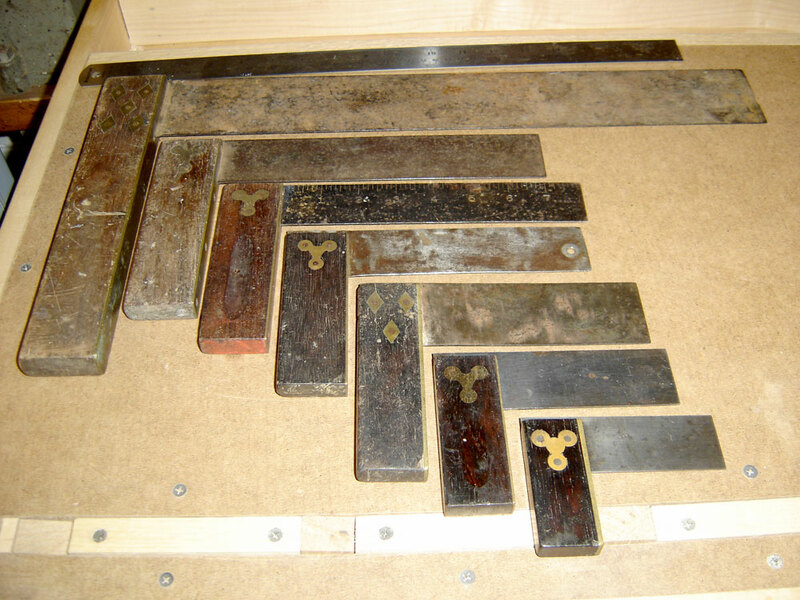 This final image is of my Try Square collection - many are Stanley, the others are unmarked.